A runaway bestseller in Norway, Where Monsters Dwell has since sold to over fourteen countries. 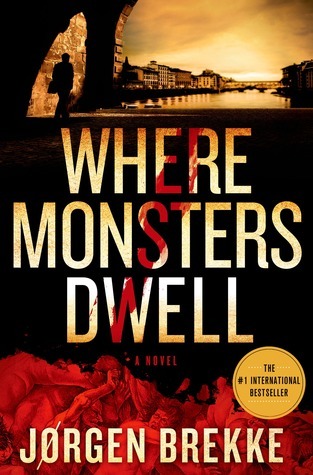 Where Monsters Dwell is the most awaited English language crime fiction debut in years. This was an exciting, challenging and satisfying read. I had to push myself past the gore to enjoy this excellent work of crime fiction that was steeped in history. This book has it all – complex plot full of twists and surprises, very likable main characters that ultimately you want to know more about, settings that cross oceans and time lines and treachery, murder, and mystery wrapped up in a Scandinavian police procedural. Add to these elements a skilful delivery, and an author who is great wordsmith who isn’t afraid to reveal he has a has a dry sense of humour; Singsaker asks his boss/colleagues “Are there any experts on serial crimes here in Norway?” The reply from Jensen: “We do have that cop in Oslo. I don’t remember his name. He solved a serial case in Australia in the nineties. I heard he’s turned into a drunk since then.” BRILLIANT! I look forward to reading more by this author. This entry was posted in Crime Fiction, Historical Fiction, Post Script: Book Reviews and tagged book review crime fiction, Scandinavian Crime fiction. Bookmark the permalink. Margo – I thought it was a great line too! This sounds great! I’m adding it to my TBR list! Steel yourself for the first few pages.